Hi everyone, this will be my last freebie for a while as I am going away on holiday for a couple of weeks to the little Greek Island of Thassos so should be in for lots of lovely sunshine. This is part 1 of a butterflies and flowers set. Hope you like it - will post part 2 when I get back. Thank you - can't wait to use them! I am going to use it as soon as I can find a free minute. Love it. Thank you once again shirley! These are so pretty! These are delightful, so delicate and pretty. Thank you. 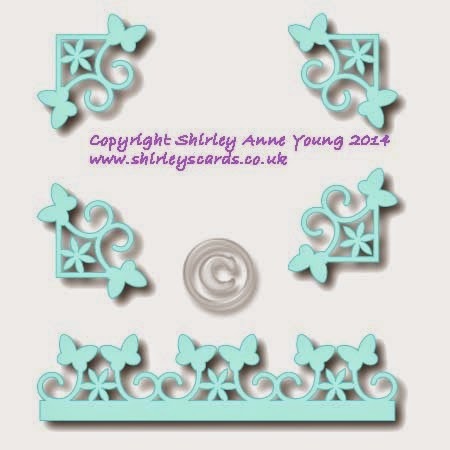 Thank you for sharing, they are lovely and can't wait to use these on a card. Thank you for another beautiful file. I absolutely adore anything with butterflies and I can hardly wait for part 2. Safe journeys there and back home. Have a wonderful time. Thank you! These will be very useful. I hope you have a great holiday. WOW these are just fabulous Shirley, love the design of them, thank you so very much. Enjoy that wonderful Greek sunshine and come back rested and we'll be ready for more fab designs. LOL. thank you Thank You THANK YOU!!! Have a nice Holiday!!! and do not forget to come back with new inspiration from greek art!!! Enjoy!!! Love these files. Thank you.